Molecular genetic research has supported the use of a multivariate phenotype representing alcohol dependence in studies of genetic association. One recent study found that additive genetic effects on Diagnostic and Statistical Manual of Mental Disorder version four (DSM-IV) alcohol dependence criteria overlap, describing a common pathway model that consists of a single latent variable representing alcohol dependence (Palmer et al. 2015). Common single nucleotide polymorphisms (SNPs) explained 31% of variance in this latent factor. However, these findings were conducted using a sample of European Americans and minimal research exists to provide insight into whether this finding is consistent in a population of African descent. 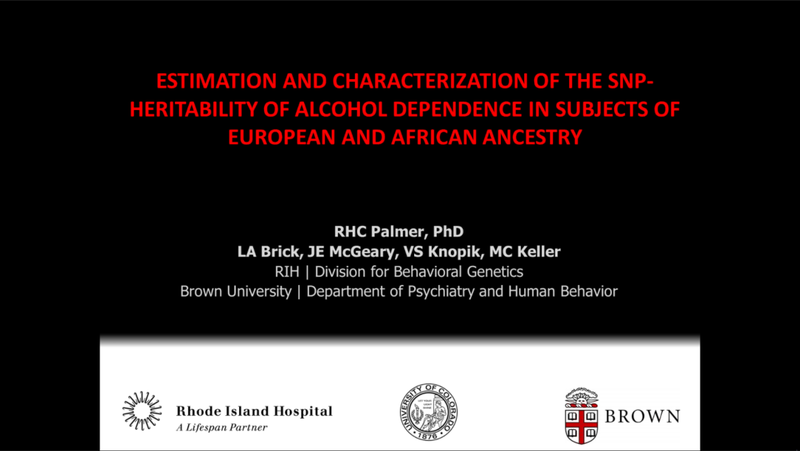 Using a large sample of individuals from European and African ancestry, we investigated the extent to which additive genetic variance tagged by common SNPs explain variation in alcohol dependence and whether these markers are shared across the two populations. Dr. Rohan Palmer Dr. Palmer is an Assistant Professor in the Department of Psychiatry and Human Behavior in the Alpert Medical School at Brown University. He completed his PhD in Behavioral Genetics at the University of Colorado at Boulder in 2010. In 2012, he completed a postdoctoral fellowship under Dr. Valerie Knopik in antecedents of addiction and psychiatric genetics at Rhode Island Hospital. 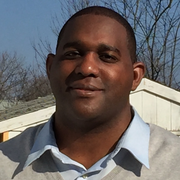 Dr. Palmer joined the Department of Psychiatry and Human Behavior's faculty in 2012. In September of 2016, Dr. Palmer will accept a new position at Emory University in Georgia.